A South Carolina judge formally declared a mistrial Monday in the case of former North Charleston police officer Michael Slager, who was charged in the death of Walter Scott. After more than 22 hours of deliberations over four days, jurors told Circuit Judge Clifton Newman on Monday afternoon they could not come to an unanimous decision in the case against the 34-year-old ex-patrolman, who faced a possible sentence of 30 years to life in prison. The judge had told the jury it could decide on a murder charge or a lesser charge of voluntary manslaughter. The jury was struggling to reach a verdict late last week. On Friday afternoon the judge received three notes from the jury’s foreman, indicating that one out of the 12 jurors said he couldn’t consider a guilty verdict. “I still cannot without a reasonable doubt convict the defendant,” the juror is quoted as saying by The Post and Courier. “I cannot and will not change my mind,” the juror added. Slager, who is white, fatally shot and killed 50-year-old Scott in April 2015, after Scott fled a traffic stop. Bystander footage that caught the shooting showed that Slager discharged his weapon at Scott eight times. Five of those rounds hit Scott as he ran away. The judge had previously pushed the jury to deliberate multiple times today, after it had requested further explanations of the law, including the legal distinction between “fear” and “passion.” Twice today, the mostly all-white jury said it couldn’t reach a verdict. Slager’s defense attorneys repeatedly moved for a mistrial throughout the back-and-forth between the judge and jury. The state prosecution asked the judge to grant the jury the additional instruction it wanted and asked to wait to see what happened. Solicitor Scarlett Wilson also said the lone holdout may not fully understand the murder or manslaughter charges against Slager. “If this jury is able to reach a verdict through some further explanation, we think it’s important that we try,” Wilson said. Since opening statements of the month-long trial, the prosecution said Slager was on trial for his attempts to “stage” the scene. But defense attorneys argued that the bystander’s video was incomplete and “didn’t properly record” the full encounter. They also argued that investigators didn’t adequately disprove Slager’s self-defense story. Slager had told investigators that Scott wrestled control of his Taser while they fought on the ground. Slager said he feared for his life and shot Scott when he pointed his stun gun at him. 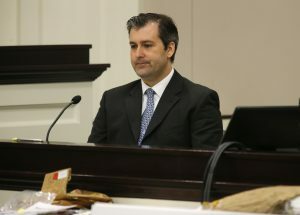 When he testified earlier this week, Slager echoed his early statements, saying he was gripped by “total fear” moments before he fired his gun. 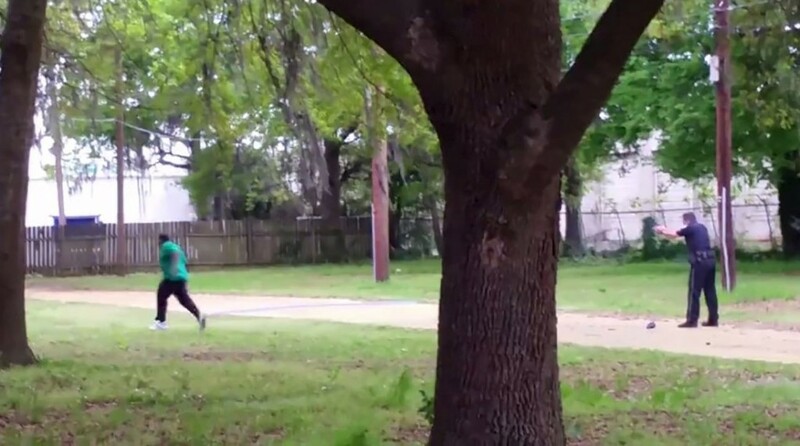 But the cellphone footage showed Scott falling yards away from where Slager fired his gun. Also seen in the video is Slager returning to the area where they originally tussled, picking up an unidentified, black object — thought to be his Taser — and then dropping it near Scott’s body. Slager will also face a federal trial early next year. Alison Thoet contributed to this report.